Diminish fine lines and wrinkles. Even out skin tone and texture. improve the way your skin looks, and with frequent treatments, it will restore skin health, too. Feel as good as you look, from head to toe. This rejuvenating spa package includes a scalp massage, foot massage, hand and arm massage and connective tissue massage, to reduce stress and invigorate body and mind. 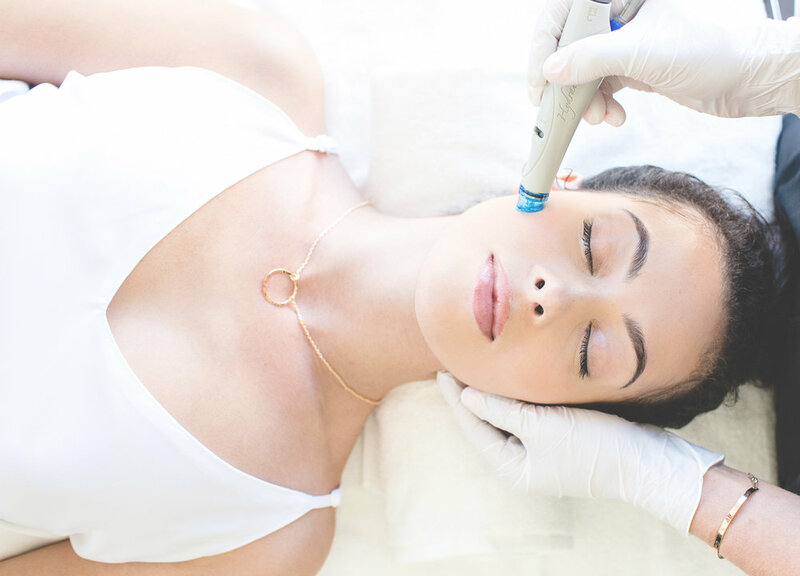 Your Hydrafacial treatment is paired with a collagen mask to restore skin’s firmness and elasticity. 15% off of Booster and Hydrafacial. Get 10% off any Booster booked with this service. Combine the best in skincare technology with time-tested spa traditions in this luxurious facial package. Enjoy a scalp massage, foot massage, and hand and arm massage, and enhance the benefits of your Hydrafacial with LED Therapy and a moisturizing seaweed mask. Get 10% off any Booster booked with this service. Boosters - Specialty serums to treat individual skin issues. Minimize the appearance of fine lines and wrinkles, improve skin health and add vitality. This anti-aging serum is made with proteins that regulate cell growth, bringing skin to a more youthful state. Have sun damage? Brighten and balance your skin tone while minimizing the appearance of dark spots and sun spots. Britenol includes alpha-arbrutin derived from bearberry extract, and vitamin C.